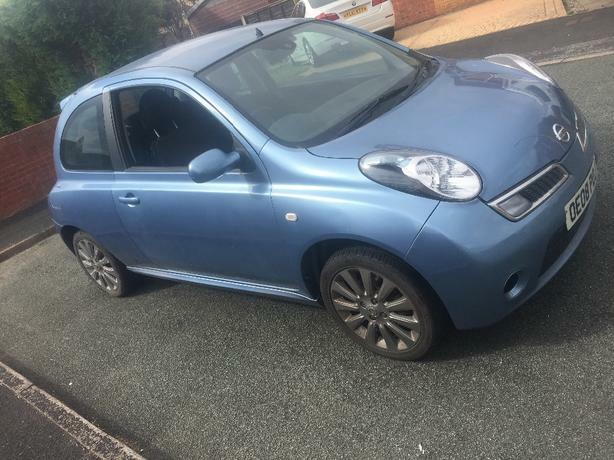 Here for sale is a 2008 Nissan micra tekna 1.4L petrol 3 door low mileage only 64k parking sensors electric windows and mirrors. The car stereo needs the code entering for it to work. Unfortunately the car is cat and I have misplaced the logbook so will need to apply for a new one. £800 but I am open to sensible offers.